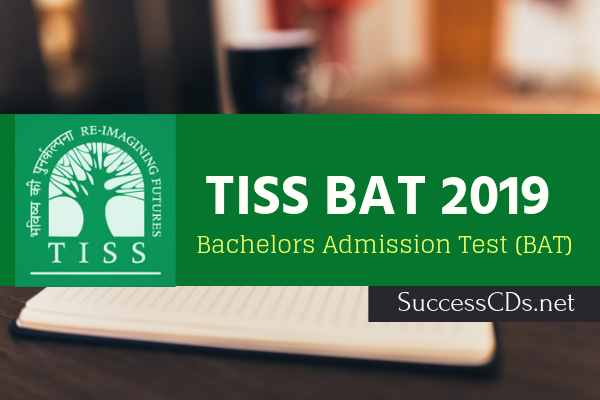 TISS BAT 2019 Notification Out! Apply Online! Duration: The duration of this Bachelor's Degree Program is six semesters. Eligibility: Students should have passed 12th Class or Intermediate in any subject stream from a Recognised Board. Students who have studied International Baccalaureate Diploma and will be completing 12th class with clear results declared by June 2019 are eligible to apply. Candidates who have appeared for their 12th class or Intermediate final exams and are awaiting results are also eligible to apply. Final pass result should be produced at the time of joining the program, if selected. Age Limit: Candidate should be less than 23 years of age at the time of appearing for the Bachelors Admission Test, as on April 30, 2019. Applications from candidates over this age will not be entertained. Medium of Instruction: The medium of instruction is English. The students are required to write their assignments, reports and examination in English language. Part A - will be a 60-minute test with multiple-choice questions on current affairs, social awareness and logical and analytical reasoning, carrying 60 marks. A computer-based test will be held on May 11, 2019 at designated Test Centres. 1. Candidates are expected to give preference for one centre in the online application. 2. Candidates cannot change this choice through a phone call or email or in person. 3. The Institute reserves the right to direct the candidate to one of the Centres chosen by the candidate or to another nearest Centre. The entrance test will be held in 22 cities and candidates need to specify any one city. Each city may have more than one centre depending on the number of applicants. The admit card will have this information. Candidates are required to apply online through the E-application process only, please read through this page before filling in the application form. CLICK HERE TO VISIT THE ONLINE APPLICATION SYSTEM.